Editor's Picks 2018: How will F1 remember Fernando Alonso? Love him or hate him, you simply cannot ignore Fernando Alonso. In his 17-year Formula 1 career, the enigmatic Spaniard has divided opinion amongst teams, pundits, fans, and even his rivals, but how will he be remembered once his F1 days have finally come to an end? Alonso has been crowned world champion twice, won 32 Grands Prix during his career, and has stood on the podium close to 100 times. But this does not tell the whole story. Stats can be used to prove or disprove many theories, and if you really wanted to, you could make a case for Alonso being the greatest of his generation. After all, he's only eight points away from becoming a five-time world champion. Will Alonso be remembered as one of the greats? Probably. Will he look back on his career with some degree of regret? Almost certainly, although he won't admit that. 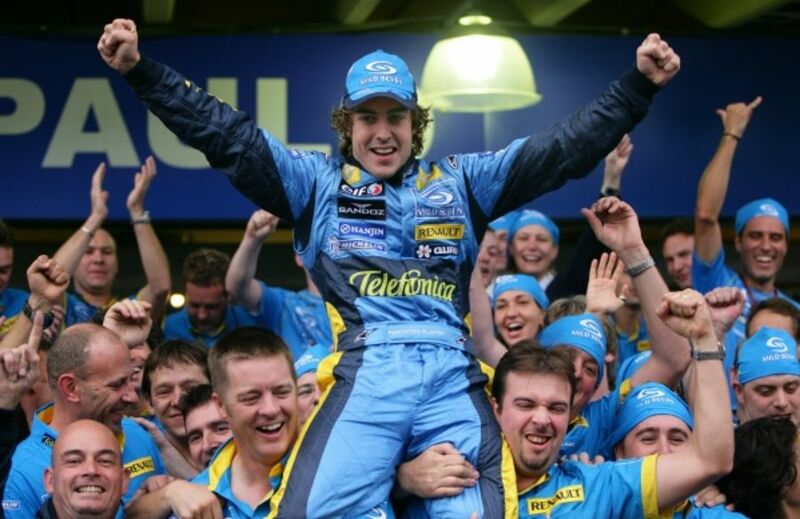 When Alonso claimed his first world title with Renault at the tender age of 24, the world appeared to be at his feet. 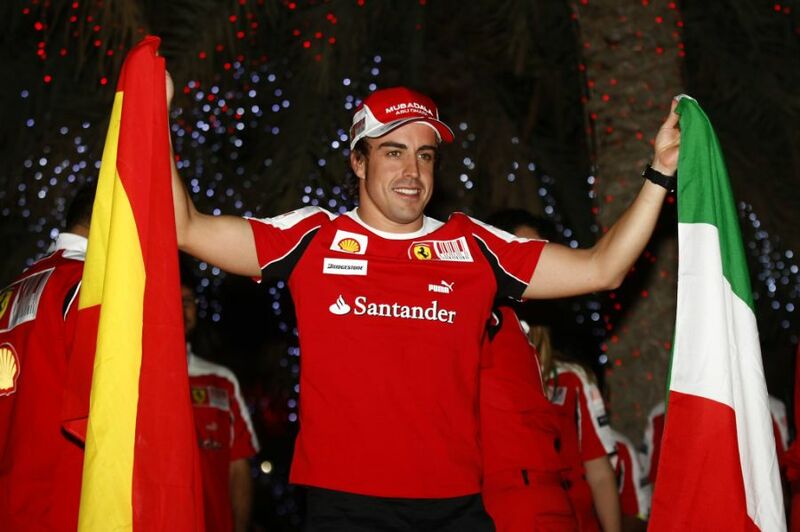 In only his third season, Alonso had become the man to finally halt Michael Schumacher and Ferrari's run of five straight titles. In doing so, he'd also become F1's youngest ever world champion and the first from a country where the sport had long been eclipsed by motorcycle racing, football and even rally. Fernando Alonso was suddenly a very big deal. A year later, he became champion for a second time. A new era was dawning in F1, and with Schumacher announcing his retirement at the end of 2006, it appeared as though one period of dominance might lead straight into another. Except, it didn't, and the reasons why form the argument as to why many people are still undecided on Alonso's place as one of the greats. Alonso is, and always has been, a ruthless operator. His talents are unquestionable, but his fiery character and relentless determination to win can often cause problems when things aren't going his way. At the Japanese Grand Prix in 2006, Alonso criticised Renault, saying that he "felt alone" in his pursuit of a second championship, and had not received full support. Some members of the team felt hurt by Alonso's comments, and it put a sour note on his final few races with them. It was the first real time Alonso's personality had been felt in full force, and it wouldn't be the last. His first spell at McLaren was short lived. A fall out with Ron Dennis was only ever going to end one way, and even though he would later return to the team, the events of that season would have a significant knock-on effect for Alonso's career trajectory. Part of the difficulty in assessing Alonso's career is just how many 'what ifs' and the 'what might have beens' you need to wade through to be able to look subjectively at his decision making. Compared to Schumacher, who was renowned for pushing the boundaries at every opportunity but was unquestionably superb at building a team around him, Alonso's foresight was often his downfall. Had he taken up Brawn's offer, a near-certain third title would have been his for the taking. A third, fourth or even fifth title might have been possible had Red Bull been able to lure him. Instead, he chose Ferrari. The lure of driving for F1's most famous team was impossible to ignore, and Ferrari were so keen to get him that they paid Kimi Raikkonen somewhere in the region of €25m to sit out the final two years of his contract. Alonso had to wait for his dream move though, and that's where his career momentum stalled. Leaving McLaren in the way he did was messy, and left him with few options for the following year. 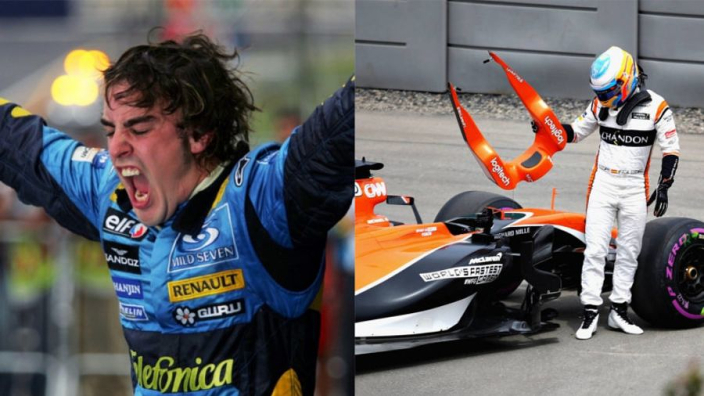 A return to Renault was his only realistic option, despite having criticised them 12 months earlier, but the team were no longer consistent frontrunners and a difficult two-year spell resulted in just two Grand Prix wins - one of them being the infamous 'crashgate' race of Singapore 2008. His Ferrari career began perfectly with a debut win, but over the course of his five-year stay, Alonso grew frustrated at the team's inability to give him a consistent championship challenging car. Three times he finished as runner-up during his time in red, but in none of those seasons could you argue Ferrari had the fastest car. Alonso's grit and tenacity often elevated the team's performances, but there were often times when even he could not paper over the cracks. In the 2010 title decider in Abu Dhabi, Ferrari's preoccupation with covering the movements of Red Bull's Mark Webber left Alonso stuck in traffic for much of the race, allowing Webber's young teammate Sebastian Vettel to steal an unlikely first world title despite trailing Alonso by 15 points going into the race. Two years later, and arguably at the peak of his powers, Alonso dragged his Ferrari car into an unexpected title fight after a slow start to the season but missed out again as Vettel recovered from a first corner spin to clinch the title in a rain-affected Brazilian Grand Prix. Despite his visible disappointment, Alonso said after that race that it had been "the best season of my career", and even now, there are few who would argue with that. Alonso's stock was arguably the highest it had been since his title-winning years at Renault. Another runner-up finish followed in 2013, but Alonso was never realistically in the fight, and by the time the 2014 season began, it was becoming clear that Ferrari would again fail to challenge for the title, and his patience was wearing thin. Alonso announced his departure from Ferrari, indicating he had doubts over the team's ability to compete for the championship in the coming years, saying the time had come time to "find new projects and new motivation". As rumours of a return to McLaren gathered pace, Alonso spent several weeks toying with the press, saying "when you know you will understand that probably it was very obvious what I would do." A return to Woking seemed unthinkable with the bitter fallout of his previous spell still fresh in the memory, but with McLaren announcing a return to using Honda engines - rekindling memories of the team's dominant era of the late 80s and early 90s - it was the "new project and new motivation" he'd been looking for. Alonso's feeling was that if he couldn't win the title with Ferrari, he was better off playing the long game and building a team around him to challenge. The McLaren-Honda project appeared to offer that opportunity, but frustratingly it proved to be another false dawn and another example of him being in the right place at the wrong time. 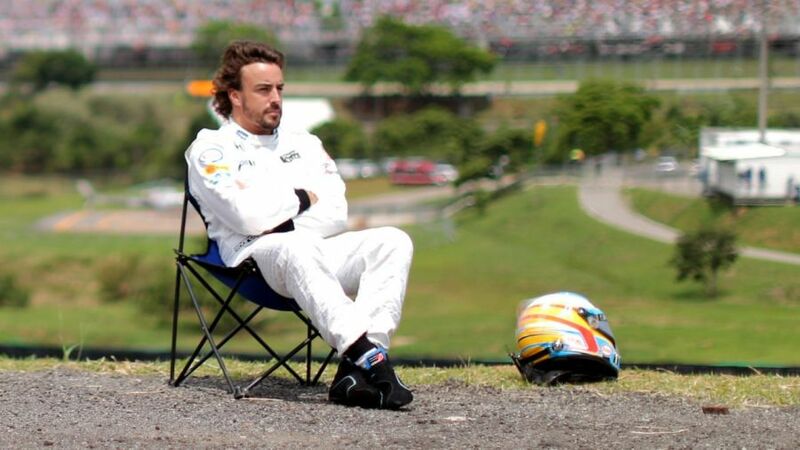 After four barren seasons and not a single podium to show for it, Alonso has understandably grown tired of F1. He explains that his reasons for leaving are that he feels the championship has become "predictable", but it's hard to imagine Alonso would be too bothered by these sort of things had McLaren risen to become the dominant force on the grid once again. It doesn't take a genius to understand how he feels. There are many who believe Alonso to be the best on the grid, yet he himself must feel frustrated that he's not had the chance to prove it. In fact, it could be argued that a large part of Alonso's appeal is deep-rooted in his failures, more so than his successes. If indeed he had won five or six titles, would we care as much that he's now moving on to do other things? Perhaps we'd feel fulfilled and that we'd seen the best of Alonso, but there still seems to be a nagging feeling that we haven't. The fact that he's still the most talked about driver on the grid despite not having won a race for five years is a testament to his standing in the sport. Whatever happens, it's fun to imagine what Alonso might have achieved had his career panned out differently, thanks to his questionable decision making, and his innate ability to limit the options available to him, he's left us with plenty of "what ifs" to get stuck into. It's entirely possible that we haven't seen the last of Alonso in F1, but whatever he goes on to achieve in other series, and his pursuit of the 'Triple Crown', the question of how good Fernando Alonso really is will surely remain. Unfortunately, we might never know.